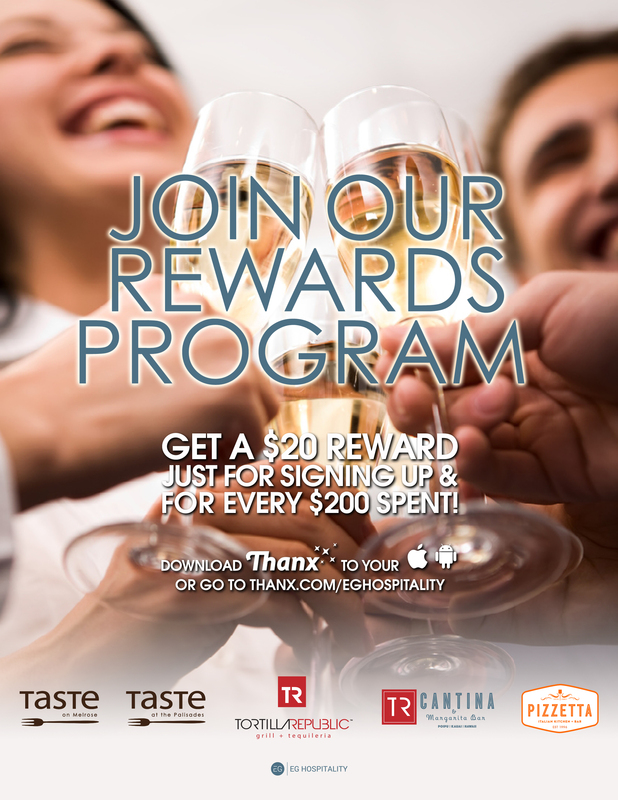 Diners compile points each time they dine at any EG location, and receive $20 back for every $200 spent. In addition, enjoy a $15 bonus just for signing up with EG Hospitality, For the fist reward of $15 a minimum of $30 is required. Please sign up at “Thanx“, available on your desktop, iPhone, or Android device.